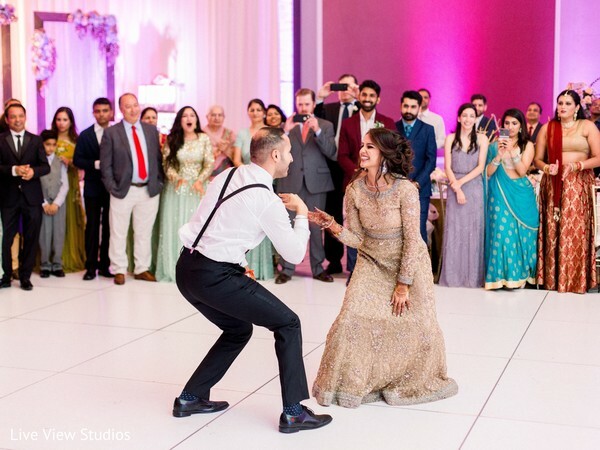 I love all the grand details of Maharani Parina and Siddharth's Indian wedding details and now I conclude the series of celebrations self-planned by the bride for the reception party. 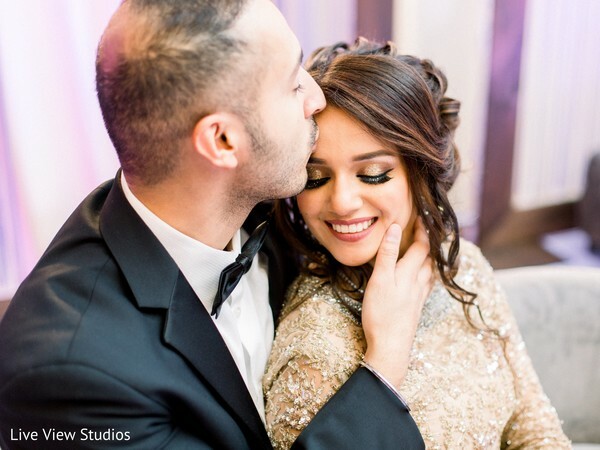 The magic hasn’t ended yet and we are back at Sheraton Valley Forge where Parina truly got her fairytale ending. 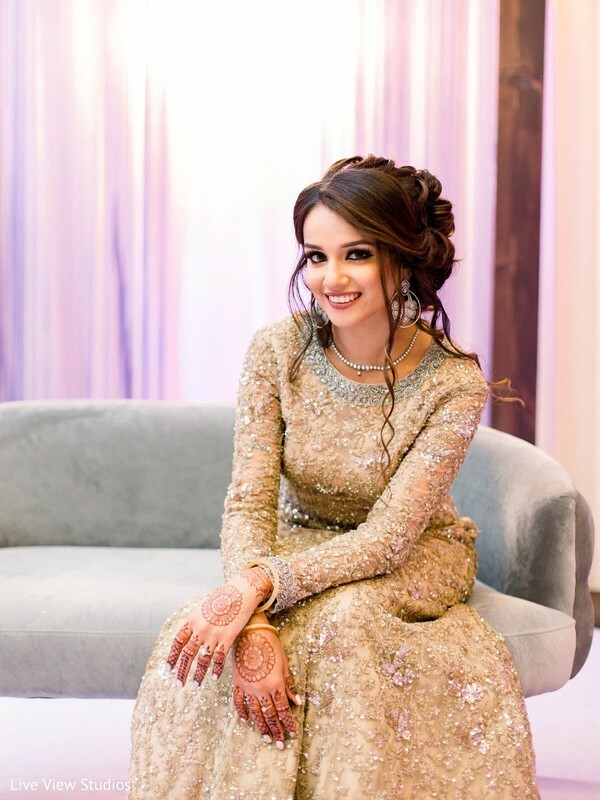 After being buffed up with beauty by Maliha Khan, the bride slipped into a satiny anarkali. 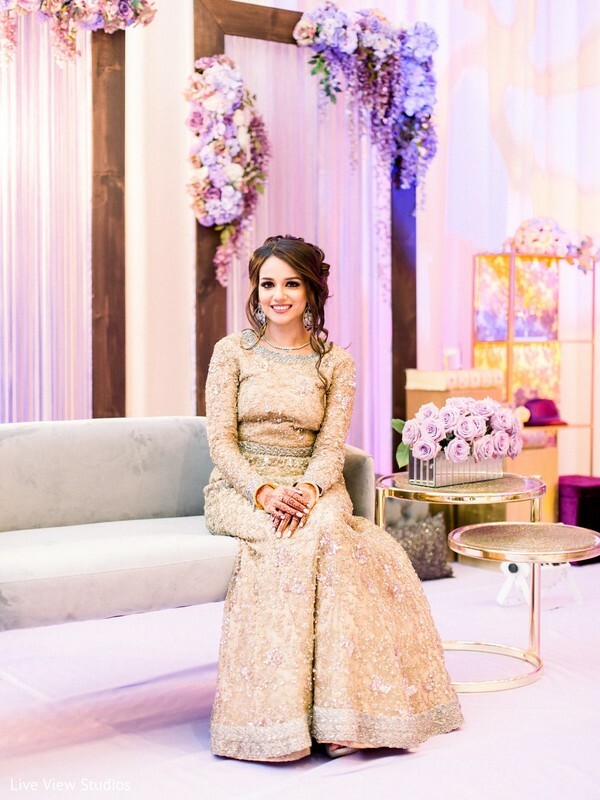 The trousseau was paired with gold jewelry that was both a twist of traditional and chic; a ten out of ten in my book! 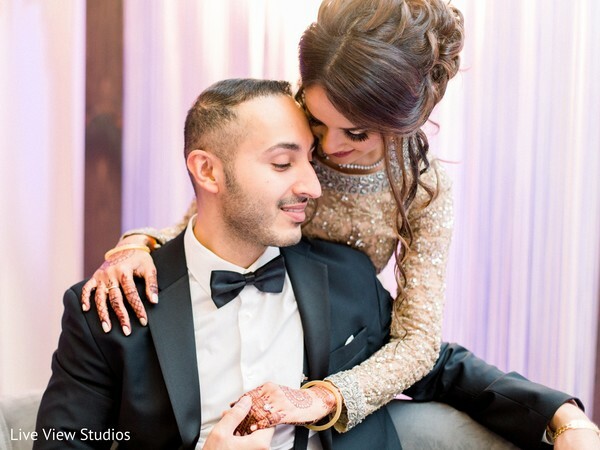 Henna by mehndibyanuja added the perfect accessory for a glowing Indian bride. 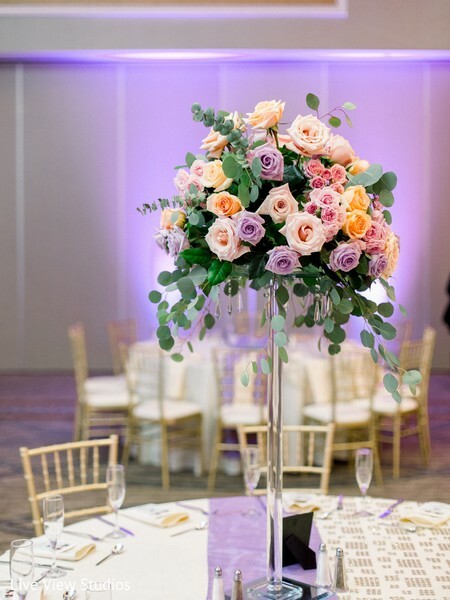 The talented team at Lax States spent the whole afternoon transforming the ballroom into an enchanting haven complete with fantasy florals. 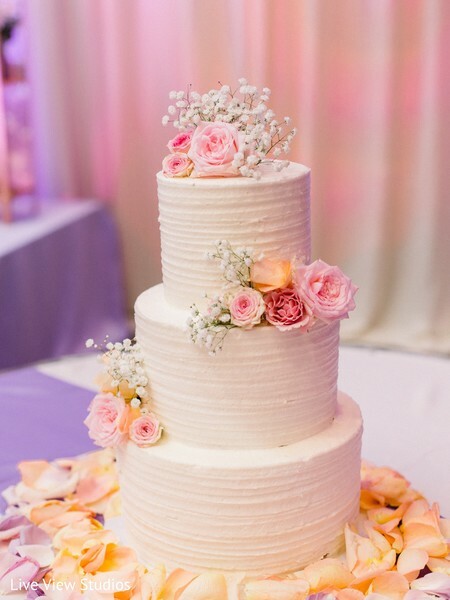 Isgros Bakery whipped up a dreamy wedding cake and guests enjoyed culinary eats by Rasoi III. 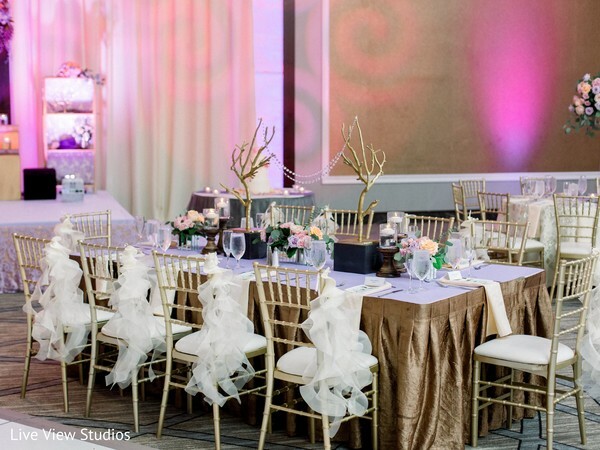 Every moment is sketched in elegance by Live View Studios in our gallery. I loved that you have joined me today! See you next week. 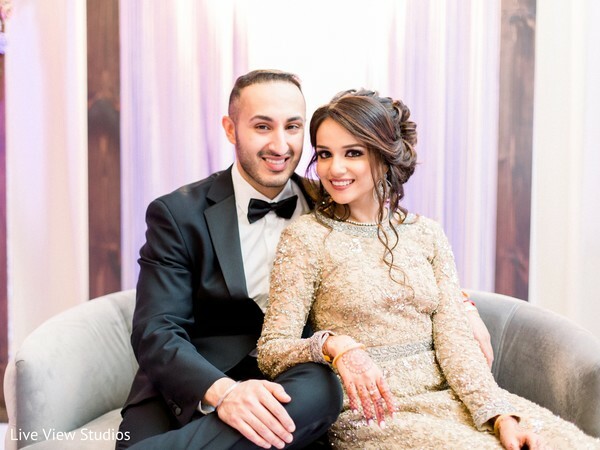 mehndibyanuja is a member of the Platinum Guide. Love what you see? Explore their portfolios.